Ed 12 of the SCAMIT List is available. This is the complete version of the 12th Edition (1 July 2018). The listing is in a searchable PDF format, so you can search within the text. It will remain available until superceded by the online species database. Thanks to the persistent and painstaking efforts of Senior Editors Don Cadien & Larry Lovell, Managing Editor Kelvin Barwick, Layout and Assembly Editor Brent Haggin, and Contributing Taxonomists B. Haggin, C. Paquette, D. Cadien, D. Pasko, D. Tang, E. Oderlin, G. Lyon, J. Loan, J. Smolenski, K. Barwick, L. Harris, L. Lovell, M. Lilly, N. Haring, R. Velarde, T. Phillips, W. Enright & Z. Scott, SCAMIT List 12th Edition (2018) is now completed and available online. Planning a taxonomic publication? SCAMIT can help! SCAMIT has a Taxonomic Publication Grants program that can help defray material costs of publication. Please feel free to apply! Leads: Greg Lyon and Terra. Questions? Contact: Leslie Harris at lharris@nhm.org or Kelvin Barwick at kbarwick@ocsd.com. 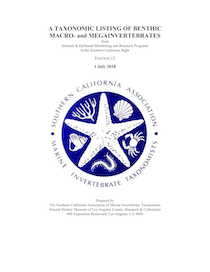 At the end of the 12th International Polychaete Conference (IPC) at National Museum Wales, Cardiff, in August 2016, members of the International Polychaetology Association voted to hold the next conference in Long Beach, California, USA in 2019, hosted by California State University, Long Beach, and Natural History Museum of Los Angeles County. This next conference will mark the 30-year anniversary of the 3rd IPC, organized by Dr. Donald Reish and held at California State University, Long Beach, in 1989. Each IPC meeting takes place every three years, and once again bringing the meeting to Long Beach provides an opportunity to recognize Dr. Reish for his long legacy of polychaete research and serving as mentor to many graduate students. Please visit the 13th IPC conference website for full information. The 2019 World Congress of Malacology will be at the Asilomar Conference Grounds in Pacific Grove, California, 11–16 August, 2019. The meeting will be jointly sponsored by UNITAS Malacologica, the American Malacological Society (AMS) and the Western Society of Malacologists (WSM). Abstract submission, registration and housing reservations are now open. 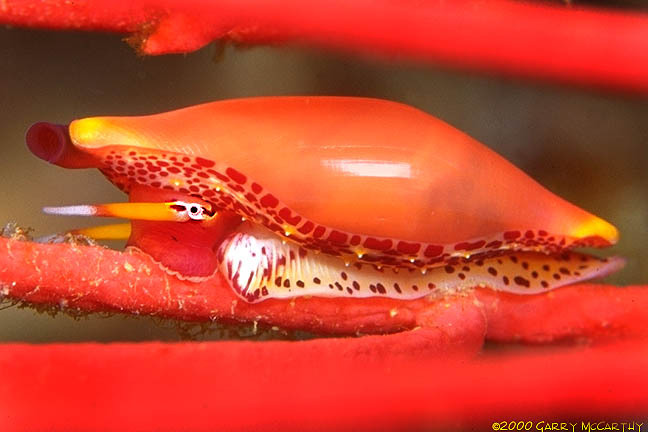 Please see https://www.calacademy.org/world-congress-of-malacology-2019 for details also on the scientific program and field trip options. Thanks to the scanning efforts of Rick Rowe and the Orange County Sanitation District, and PDF processing by Cheryl Brantley, our collection of SCAMIT newsletters is complete. You're welcome to visit the latest newsletter, as well as journey into the past.